There are lots of blog posts about the tax deductions that bloggers can take but it is easy to find yourself on the wrong side of the tax laws if you are not careful. I decided to write about common questions that a blogger or any small business may have. I am not a tax expert or a C.P.A. but I do like to read the tax code (I know it's weird, huh?) I just like to know for myself what is OK with my taxes. I also spend lots of time each year, scanning the Internet for information about taxes. I am one of those people who likes to stay clearly on the right side of tax law. 1. Can I write my blog off my taxes if I lost money? 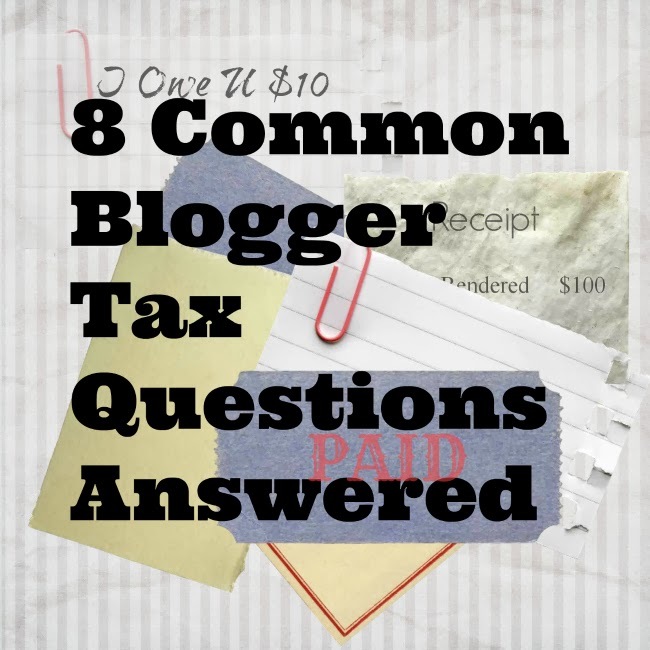 As a blogger there are tax deductions that one can take if they can prove to the I.R.S. that they run their blog in a business like manner to make a profit. Anyone thinking they can just use their blog to cut their tax income from other sources may find themselves in trouble or at the very least having their blog declared as a hobby. To prove that your blog or any business is a legitimate business then you must make a profit 3 out of 5 years that you are in business. It is a good idea to be able to show that you are running your blog in a business like manner by keeping good records and always looking for ways to increase the ability to profit. The I.R.S. also considers whether you have the expertise to make a profit with your blog. If your blog is declared a hobby then all is not lost. You can still deduct your expenses up to the amount of profit but you can not show a loss. ****Check the comments below!!! I had a CPA weigh in on this first question and answer and she says my answer is not quite right. Be sure to check out her answer! Thanks so much to Carol Topp for helping us stay on the right path! 2. What is considered Income on My Blog? Anytime there is an exchange of goods or services then that is considered income. This includes income from actual sales, digital sales (such as e-books), Advertising Income, services (such as web design), Free items sent to you to review, and any bartered goods or services. You must file a return if your net income amounted to $400 or more. Net is the amount made after deductions. Gross income is the total Income amount before deductions. 3. Do I have to declare the Freebies That I Review Or Receive? Yes, you do. You must report all fringe benefits, review items and blog conference sponsorships. Generally these items are not considered as gifts. It isn't worth getting into trouble with the I.R.S. to avoid showing that item as income. Some items that are worth large amounts may even require a 1099 I.R.S. Form. (See the I.R.S. website for more information). 4. Can I deduct my computer equipment? Maybe. Beware if you spent way more than you made. Start up expenses are expected by the I.R.S. but if you purchased what might be considered a luxury system while you are still losing money then it may be considered a red flag and trigger an audit. 5. Can I deduct my trip to a Blogging Conference? Again the answer is maybe. If you went to what the I.R.S. considers a reasonable location then the answer is yes, but if you went to Paris, France then you have to be able to prove that it made as much sense to go there, as going to a closer conference. There are some surprising yes, answers to this question that you can check out at Fox News. Keep in mind that many of the crazy deductions they listed, had to be proved in court. 6. Can I deduct my home office? This is another maybe. You have to be able to prove dedicated space in your home to your office. You must prove "regular exclusive" use as the I.R.S. states it. You can read exactly what the I.R.S. says about this on the I.R.S. Website. My "office" space would not be deductible because I use it for other purposes besides blogging. 7. Do I have to pay estimated taxes? 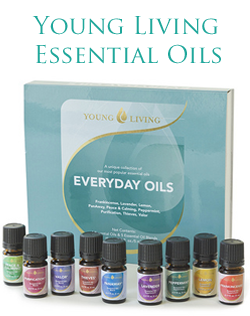 If you are self employed then yes you do, if your net income is $400 or more. You will be required to pay quarterly estimated taxes the next year or face a fine at the end of the year. You can read a really great article about estimated taxes at Extra Money Blog. 8. What deductions can I take as a blogger? I considered typing out a list of possible deductions for you but when someone has already done a great job of this, then I figure, "why remake the wheel?" You can find a list of 101 possible deductions that you can take at WiseBread . I must make the disclaimer once again that I am not a Tax professional and no matter how well I research, I can make mistakes so be sure to seek professional tax consulting services to be certain of any answers to tax questions. Good job putting complex IRS rules into plain English! I am a blogger, author and CPA, so I need to correct one statement you made that is incorrect. What the IRS states is this: “An activity is presumed for profit if it makes a profit in at least three of the last five tax years, including the current year.” (Source: http://www.irs.gov/uac/Is-Your-Hobby-a-For-Profit-Endeavor%3F). The IRS is saying if you make a profit, you're a business. The IRS is NOT saying you *must* show a profit or else you'll be considered a hobby. They are stating that if you *do* show a profit, you will be considered a business, which is what you want. You want to be considered a business because being considered a hobby is very detrimental tax-wise. A business can lose money every year and still be a legitimate business. Of course, the IRS (and you) may wonder if it is worthwhile to continue in a business that loses money every year, but it can happen. I hope that helps clarify a common misunderstanding.